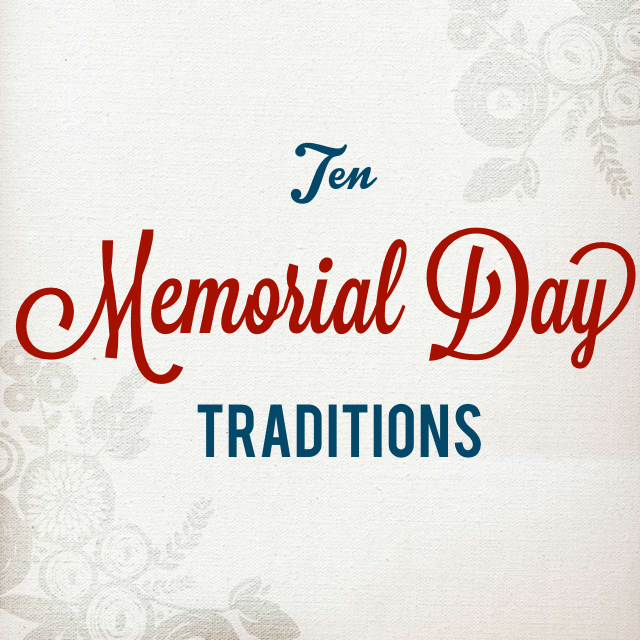 Memorial Day: That weird holiday that sneaks up on you that you never know quite what to do with. Well here are some ideas!! 1. Cleaning Headstones: This is one of the best traditions I think because it is so thoughtful and such a good way to serve and remember those who have passed on. For the tutorial, click here! 2. BBQ: After you’ve spent some time cleaning the headstones of your loved ones who are gone, throw some food on the grill and spend some time with your loved ones who are still here! 3. Mini Vacation: It’s a four day weekend! Get out and save money by not traveling very far and using a hotel app to get a great deal. Our favorite to use is Hotel Tonight. It has awesome deals AND you get a $25 credit your first time using it, plus another $25 credit for using this code: ALEWIS86. On hotel tonight that could pretty much book you a hotel for FREE!!! 4. Get Outside: Take advantage of the nice weather and do some outdoor activities. Water fight, paintball, hike, canoe, fish, rock climb, etc. 5. Family History: To honor those from your past, spend the day researching about your family history. For some great resources, look here. 6. Flower Arrangement: Make your own flower arrangement, or purchase one, to place on the graves of you loved ones. 7. Letters to the Deceased: This can be very therapeutic, especially for children. If you have lost someone special, take a moment to remind yourself that they aren’t very far away, and write a letter to them. Although you may not be able to send it directly to heaven, it will feel good to put your feelings and memories down on paper. 8. Wear poppies: This is an old Memorial Day tradition that was inspired by the 1915 poem In Flanders Fields by John McCrea. War worker Moina Michael made a personal pledge to always wear red silk poppies as an emblem for “keeping the faith with all who died,” and began a tradition that was adopted in the United States, England, France, Australia and more than 50 other countries. 9. National Moment of Remembrance: Take part in the national moment of remembrance at 3 pm. 10. Visit or Write Veterans: Visit or write a veteran, or do something special for the troops or their families. We owe them so much for risking their lives to ensure our freedom. 2 and 3 are our traditions. I love me some good BBQ! I'm excited for the long weekend and for the barbecue and I will try and incorporate some of your other suggestions also! In Australia we have ANZAC Day as a public holiday on April 25th. It commemorates the Gallipoli campaign of 1915 as well remembering all the fallen soldiers, nurses and civilians from subsequent wars. Dawn services, marching out parades and games of two-up have become the tradition. On November 11 we have Remembrance day to mark the anniversary of the armistice which finally ended WW1. At 11 am we stop for a minutes silence. Wearing poppies and rosemary are a significant part of the ceremonies, but this is not a public holiday. It's interesting to see what other countries do. Why is the May date significant? Wow yeah that's so interesting!! These are all great ideas, I particularly love #8 it reminds me of my grandmother who purchased those little poppies every year at this time. Great ideas. Happy Memorial Day. good list! I'll check out the hotel app. Thanks! What an amazing list of ten! I would never have thought of your number 1 idea! I am soooo going to do that next year! I think it would be a fun family 'service' project! Thanks for sharing your amazing ideas and linking them to the letter "A"!